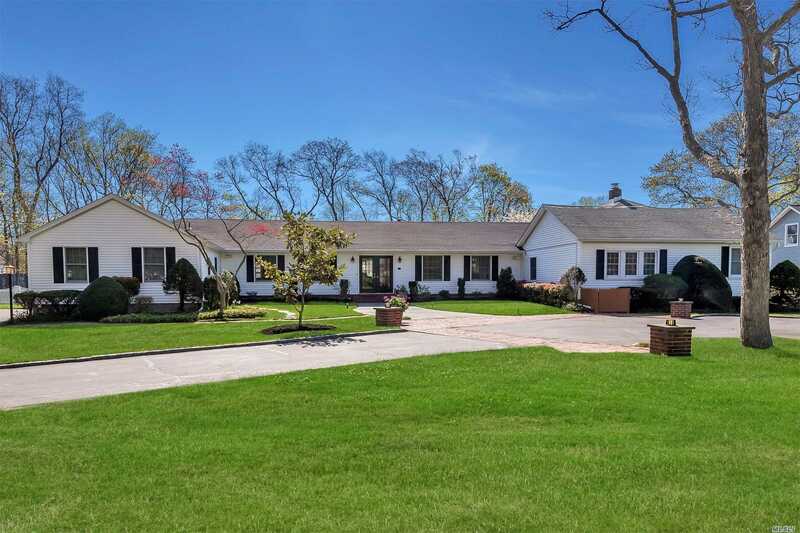 Expanded Ranch On Extremely Private 1.6 Acres In South Bayport. Greeted With A Long Driveway, Blue Stone Walkway And French Doors, This Home Has A Casual Elegance To It. Features Include Generously Sized Rooms, Fireplace, Hardwood Floors, Huge Recreation Room, Professional Office Space With Private Entrance, Tennis Court, Hot Tub, Whole House Generator And Lush Mature Landscaping. Fabulous Location Offering A Picture Perfect Lifestyle!